KANSAS CITY, KAN. - Sporting Kansas City announced on Monday that the club has agreed to transfer forward Kei Kamara to Middlesbrough FC (Football League Championship) in England. 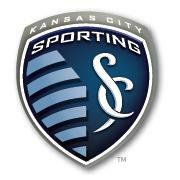 Sporting Kansas City will receive two-thirds of the substantial transfer fee to use as allocation money per MLS rules. "Over the last four-plus years Kei's progression as a player has been tremendous," said Sporting KC Manager Peter Vermes. "We appreciate his service to the team and to the club and we wish nothing but the best for him and his next challenge as a player." In eight MLS seasons with four different teams, Kamara recorded 53 goals and 24 assists in 200 appearances (including playoffs). He was an inactive MLS All-Star in 2012 and in January, Sporting KC facilitated a loan for Kamara to Norwich City FC of the Barclays Premier League. He scored one goal in 11 games for the Canaries. Middlesbrough FC has played in the Football League Championship, the second tier of English soccer, since the 2009-10 season. The club finished 16th in the 24-team league last season and currently holds the 15th position through five games (1-1-3) this year. This season, Sporting Kansas City acquired Designated Player Claudio Bieler - the team's leading scorer- and signed U.S. Men's National Team players Matt Besler and Graham Zusi to new long-term contracts. The club sits in first place in the Eastern Conference and leads Group 2 in the 2013-14 CONCACAF Champions League.